Référence Origine SSB100891. Capteur ABS. L'envoi se fait par colissimo ou colissimo international. Type TF 115 MGF RD 200 RF 25 RF 400 RT 45 Coupe. Véhicule MG Rover. Возвраты принимаются только в том случае, если товар не соответствует вашему заказу из-за ошибки с нашей стороны. Условия возврата. Type Elise MG ZT ZT-T 75. Véhicule Lotus MG Rover. Si vous ne trouvez pas le véhicule que vous cherchez dans la liste de véhicules affichée, cela vient du fait que tous les véhicules ne sont pas représentés. Type Elise MG ZT ZT-T 75. Véhicule Lotus MG Rover. Условия возврата. Все наши запчасти снабжены специальной маркировкой, а иногда и пломбой. В случае повреждения или вскрытия маркировки или пломбы на товаре исключается любое право на возмещение расходов. Upgraded Stainless ABS Modual Bracket. This ABS modual bracket kit comprises of the following Will Fit MGF Mk2 from VIN XD511059. This bracket will NOT fit MGF Mk1. 1x Uprated stainless bracket. Made from precision lazer cut stainless steel. MG ROVER PART NUMBER SSB100640. BOSCH NUMBER 0265006307. GENUINE MG ROVER (BOSCH) 25 ZR. 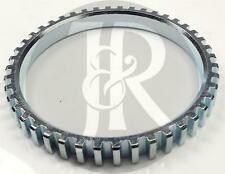 MG Rover Part Number: SRB101621 (Equiv. Bosch Number: 0265 216 803). With a plethora of parts available on the shelf, we should have the part you require. Best of Rover Spares LTD. It represents the standard we aspire to achieve on goods marked as such. New Genuine MG Rover Original specification part. Part number SRU102100. MGTF,MGTF LE500 &late MGF Mark Two, 2000 -2011 ABS pump bracket. GT MG SPARES LTD. To be used with BOSCH SRB 101570 BOSCH 0273 004 419 ABS pump modulator illustrated in pictures. MG MG ZT 6 / 2002-9 / 2005 diesel : 2.0 CDTI 204D2. MG MG ZT 1 / 2001-7 / 2005 Essence : 1.8, 160, 180, 190 25 K4F. Rover 75 RJ 2 / 2003-5 / 2005 diesel : 2.0 CDT, 2.0 CDTI 204D2. Rover 75 RJ 5 / 2001-5 / 2005 Essence : 1.8, 2.5 25 K4F. 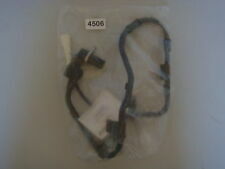 MG Rover Part Number: SSB100930. Fits Passenger Side Front. With a plethora of parts available on the shelf, we should have the part you require. Best of Rover Spares LTD. It represents the standard we aspire to achieve on goods marked as such. MG / ROVER NCC100120. BOSCH 0250202103 4x ORG0250202103. After-glow capable, 11 V, outer thread M 10 x 1 mm. BMW 12232248059, NCC100120. Part Number SRB101590 will fit. MGF 1999 SN511059 on. Genuine MG Rover Antilock Brake Modulator. You are buying a single Antilock Brake Modulator. MG ROVER PART NUMBER SSB100920. BOSCH NUMBER 0265006306. GENUINE MG ROVER (BOSCH) 25 ZR. 1 X NEW FRONT ABS SENSOR. CRANK / CAM SENSORS. P/n SSB100930. 200 25 Coupe MG ZR. Genuine MG Rover. Fitted to MGF Models between 00-02 and MG TF models 02-05. We have hundreds NEW, USED AND REFURBISHED parts ready for dispatch. We take great pride in what we do and all parts are cleaned prior to dispatch. MPN - AB1175. ROVER GROUP MG SERIES MG ZT 1.8 01/03- Front. ROVER GROUP MG SERIES MG ZT 2.0CDTi 06/02- Front. ROVER GROUP MG SERIES MG ZT 2.5 06/01- Front. ROVER GROUP MG SERIES MG ZT 4.6 10/03- Front. BOSCH NUMBER 0265008214. GENUINE MG ROVER (BOSCH) 25 ZR. REAR ABS SPEED SENSOR FITS LH - PASSENGER SIDE REAR. MG MG ZR 6/ 2001 - 4/ 2005 Diesel: 2.0 TD 20 T2N. MG MG ZR 6/ 2001 - 4/ 2005 Petrol: 1.4, 120, 160 18 K4K. Rover 400 XW 5/ 1994 - 11/ 1998 Petrol: 1.6 D 16 Z2. Rover 200 RF 11/ 1995 - 3/ 2000 Diesel: 220 D/SD, 220 SDi 20 T2N. GENUINE ROVER 200 25 MG ZR REAR ABS SENSOR RH or LH Original Bosch SSB100640. With a plethora of parts available on the shelf, we should have the part you require. Best of Rover Spares LTD. It represents the standard we aspire to achieve on goods marked as such. Mg zs abs module from 2002- 2004 1.8 387193 0273 084537. MG TF & MGF Mk2 ABS MOUNTING BRACKET. Will fit MG TF and MGF Mark 2. If there are any parts you are after for your MG or MG Rover that you need, give us a try. STAINLESS STEEL. Remanufactured by us in stainless steel. 1 x REAR AXLE RIGHT ABS WHEEL SPEED SENSOR OE QUALITY FITS Description Model Year kW HP cc Build ROVER 45 (RT) 1.4 02.00 - 05.05 76 103 1396 Hatchback ROVER 45 (RT) 1.6 02.00 - 05.05 80 109 1588 Hatchback ROVER 45 (RT) 1.8 02.00 - 05.05 86 117 1796 Hatchback ROVER 45 (RT) 2.0 iDT 02.00 - 05.05 74 101 1994 Hatchback ROVER 45 (RT) 2.0 iDT 01.04 - 05.05 83 113 1994 Hatchback ROVER 45 Saloon (RT) 1.6 02.00 - 05.05 80 109 1588 Saloon ROVER 45 Saloon (RT) 1.8 02.00 - 05.05 86 117 1796 Saloon ROVER 45 Saloon (RT) 2.0 iDT 02.00 - 05.05 74 101 1994 Saloon ROVER. ROVER 220 / 420 / ABS UNIT COMPLETE ECU AND PUMP ASSEMBLY MODULE UNIT MANUFACTURED BY BOSCH FOR ROVER, FITS MANY XY VARIANTS 220/420/SLI/GSI/GTI/AND TURBO TOMCAT COUPE 2 DOOR AND SALOON MANUFACTURED BETWEEN 1989-1998. MG Part Numbers SSE100430 Mount Bolt FB106071. This item fits any model of MGF MGTF & MGTF LE500 1995-2011 with abs. New Genuine MG Rover part as fitted by MG ROVER when factory built. FRONT R/H Front Driver in UK or L/H Rear Passenger in UK ABS sensor mount and fixing to hub bolt. MG ZS ROVER 220 GTI & COUPE/ 400/45 ABS SENSOR O/S REAR GENUINE NEW SSB100720. MG Rover Part Number: SSB100720. Also fits Rover Coupe and Tourer models from 1989-1998. Drivers Side Rear 220 COUPE & GTI. MGF mg tf abs capteur véritable partie bosch 0 265 006 270 O / S / R partie no ssb100880. MGTF,MGTF LE500 & LATE MGF Mark Two, 2000 -2010 BOSCH SRB 101570 ABS PUMP MODULATOR. GT MG SPARES LTD. UNIT 1 OLD HALL INDUSTRIAL ESTATE. This item is not compatible with 1995-1999 Mark one MGFS. MG ZS ROVER 220 COUPE & GTI 400/45 ABS SENSOR REAR N/S GENUINE NEW SSB100730. MG Rover Part Number: SSB100730. Also fits Rover Coupe and Tourer models from 1989-1998. Fits all Rover 400, 45 and MGZS models upto 2004. MG MG TF 135 Convertible Petrol 03/2002 12/2009 RWD 16 136 100. MG MG TF 115 Convertible Petrol 03/2002 12/2009 RWD 16 116 85. MG MG TF 120 Convertible Petrol 03/2002 12/2009 RWD 16 120 88. MG SSB100790. New Boxed Fuel Parts MG Rover Front Right Hand Offside OSF ( UK Drivers Side ) ABS Anti Lock Brake Wheel Speed Sensor / Pick Up. MG Rover 45 1.4 1.4i 1.6 1.6i 1.8 1.8i 2.0D 2.0 Turbo Diesel. MG Rover Part Numbers SSB100700. New Genuine Bosch MG Rover 45 ZS 400 Front Right Hand Offside OSF ( UK Drivers Side ) ABS Anti Lock Brake Wheel Speed Sensor / Pick Up. MG Rover 45 1.4 1.4i 1.6 1.6i 1.8 1.8i 2.0D 2.0 Turbo Diesel. MG Rover Part Numbers SSB100700. MGTF & LATE MGF MARK 2 BOSCH SRB 101570 ABS PUMP MODULE IN GOOD WORKING ORDER. GT MG SPARES LTD. UNIT 1 OLD HALL INDUSTRIAL ESTATE. GENUINE MG ZT ROVER 75. ANTI LOCK BRAKE MODULATOR. Manufacturer Part Number SJA9x2MG. MG MG ZT 6 / 2002-9 / 2005 diesel : 2.0 CDTI 204D2. MG MG ZT 1 / 2001-7 / 2005 Essence : 1.8, 160, 180, 190 25 K4F. Rover 75 RJ 2 / 2003-5 / 2005 diesel : 2.0 CDT, 2.0 CDTI 204D2. BOSCH 0 265 006 305. MG PART NUMBERS SSB100930. 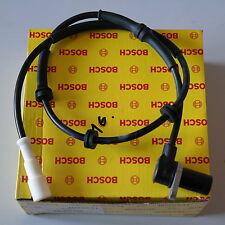 MGZR ROVER 25 FRONT L/H ABS SENSOR. Also fits ROVER Tomcat 200 coupe & cabriolet & 400 tourer. New Genuine MG Rover Bosch OE PART as fitted by MG ROVER when factory built.